Melbourne outfit Strange Talk popped onto our radar in August last year via their bloody brilliant single ‘Climbing Walls’. But now the gents are back with something new, something fresh – a little track called ‘Cast Away’. The track serves as the lead single from the band’s debut album, which is due out in the first half of 2013, but they’re no doubt wanting you to hear snippets of it before that, announcing a trio of live dates in November. The gents will play at Hobart’s Soundscape Festival on November 16, at Melbourne’s Ding Dong Lounge on November 23 and at The Standard in Sydney on November 30. 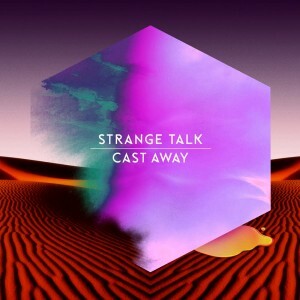 ‘Cast Away’ is rather special electro-pop proving as always that we have some extraordinary pop talent in this country – sadly not that you’ll hear it on commercial radio. But more and more, we’re liking what we’re hearing from the Strange Talk camp. ‘Cast Away’ is available digitally now.